Chosen as a Best Book of 2017 by Publishers Weekly! Harrowing personal narratives describing how Mexican authorities disappeared, killed, and injured scores of students and others in a still-unsolved crime. On September 26, 2014, police in Iguala, Mexico attacked five busloads of students and a soccer team, killing six people and abducting forty-three students—now known as the Iguala 43—who have not been seen since. In a coordinated cover-up of the government’s role in the massacre and forced disappearance, Mexican authorities tampered with evidence, tortured detainees, and thwarted international investigations. 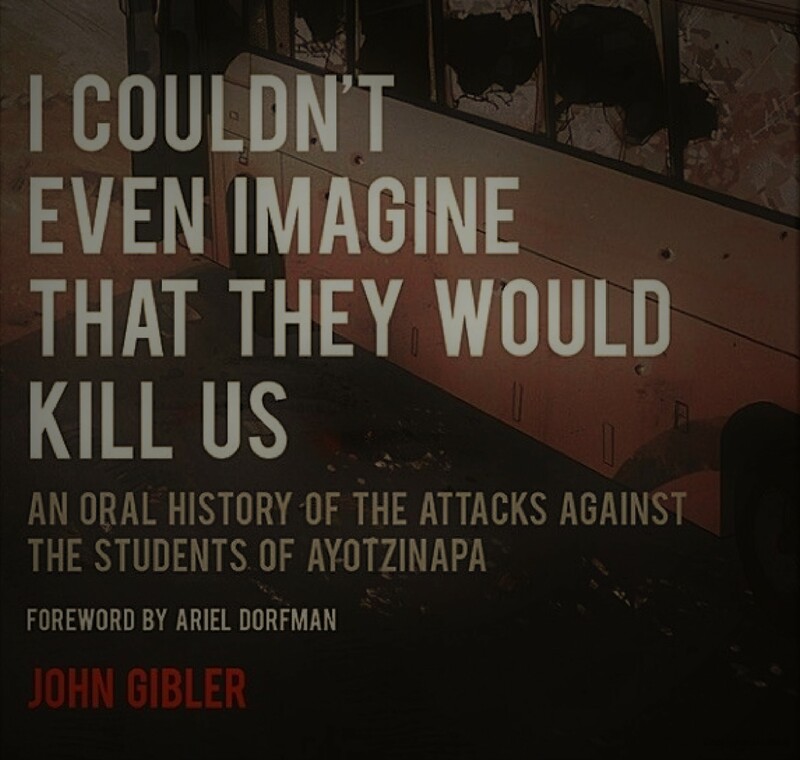 Within days of the atrocities, John Gibler traveled to the region and began reporting from the scene. Here he weaves the stories of survivors, eyewitnesses, and the parents of the disappeared into a tour de force of journalism, a heartbreaking account of events that reads with the momentum of a novel. A vital counter-narrative to state violence and impunity, the stories also offer a testament of hope from people who continue to demand accountability and justice. John Gibler lives and writes in Mexico. He is the author of Mexico Unconquered: Chronicles of Power and Revolt, To Die in Mexico: Dispatches From Inside the Drug War, 20 poemas para ser leídos en una balacera, Tzompaxtle: La fuga de un guerrillero. His work on Ayotzinapa has been published in California Sunday Magazine, featured on NPR’s “All Things Considered,” and praised by The New Yorker. Red Salmon Arts (casa de Resistencia Books) is a Native American/[email protected]/[email protected] cultural arts organization with a history of working within indigenous communities of Austin since 1983.